Whenever the term Viking comes into a discussion, things take an interesting turn – whether it is related to how they fought sea-battles like land battles, or if it pertains to how the expert seafarers (possibly) were the first Europeans to reach America. 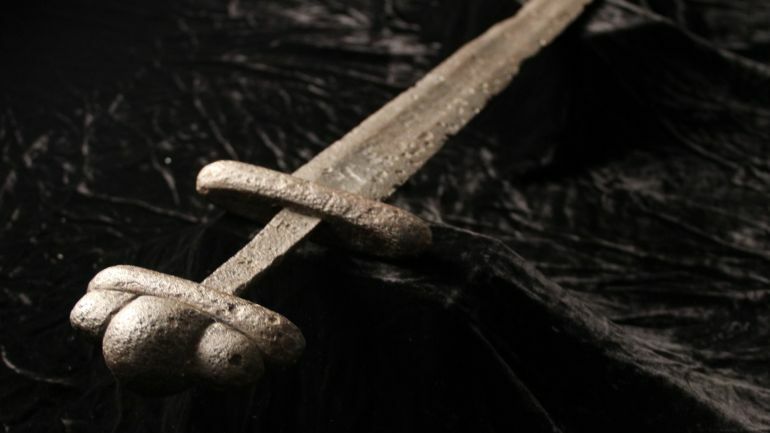 But arguably more baffling to the military historians, is the evidence of the so-called Ulfberht swords. Crafted with seemingly ‘advanced’ technology that basically became the standard in 18th century (800 years after the Viking Age), these weapons were made of ‘crucible steel’ with greater carbon content. In fact, the carbon percentages analysed from the swords were found to be whopping three times higher than comparable swords from the epoch (9th century to 11th century AD), which in turn endowed the blades with outstanding strength. 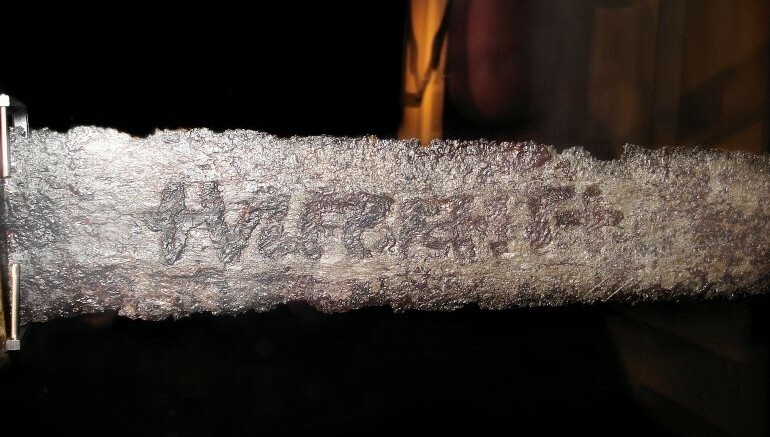 This unique subject matter was made popular by NOVA/National Geographic’s 2012 documentary ‘Secrets of the Viking Sword‘, and according to the film, over 170 such hi-tech Ulfberht swords have been salvaged by archaeologists. Now, from the perspective of medieval sword-making, the very first predicament of the conventional process entailed the removal of impurities (known as slag) from the ore. This was because early-medieval blacksmiths didn’t have the advantage of heating the ore to very high temperatures (of 3,000 degrees Fahrenheit) that would make the procedure of removal easier – due to the unavailability of the required furnaces. As a result, the expert smiths back then had to pound the hot metal during forging, so as to maintain the high quality of the blades. To do it right, it is the most complicated thing I know how to make. To be able to make a weapon from dirt is a pretty powerful thing. But, to make a weapon that could bend without breaking, stay so sharp, and weigh so little would be regarded as supernatural. In any case, beyond the sense of wonderment, there should always be the logical side of affairs in history. To that end, many researchers believe that the Vikings mostly like procured the basis of the crucible steel technology from their extensive Volga trade routes that connected the Islamic world (the very same route that also might have landed the recently discovered ‘Allah-inscribed’ ring on Scandinavian shores). There is some credibility in these hypotheses, since the production of the Ulfberht swords seemed to have stopped after such expansive routes were on the decline. The Islamic world in turn might have adopted the crucible steel from the Indian sub-continent, with this particular high-quality steel variety being known as Wootz. Lastly, in an interesting note, the famed Ulfberht mark didn’t always pertain to extraordinary swords crafted for elite warriors. There were also fake variants of the very same ‘brand name’, and they were most likely forged by relatively inexperienced North European blacksmiths after 11th century. Unfortunately for their true owners, most of these fake Ulfberht swords had keen edges but were inexcusably brittle for actual combat scenarios. The article was originally published in our sister site HEXAPOLIS.